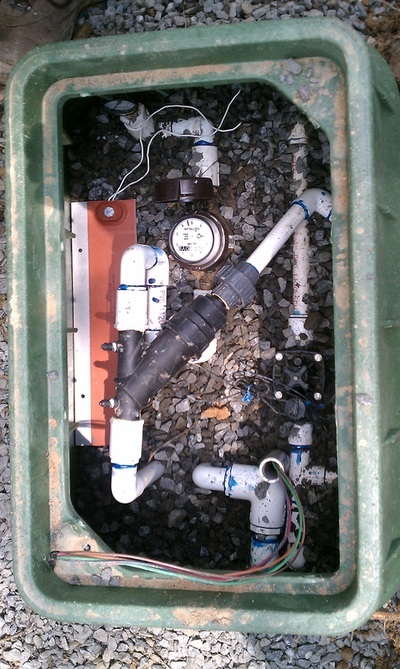 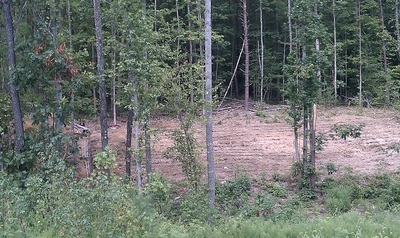 Below are some pictures from an Advantex Drip Disposal System that we installed in the Southwoods Subdivision of Spotsylvania County. 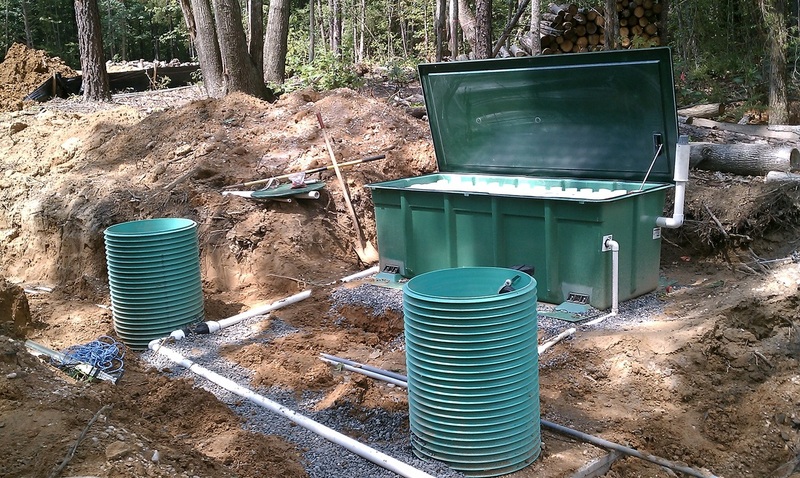 The Orenco Systems' patented* AdvanTex Treatment System is a recirculating filter that's configured like a recirculating sand filter - a packed bed technology that Orenco engineers have helped perfect for the past 20 years. Like recirculating sand filters, AdvanTex is reliable and low-maintenance. 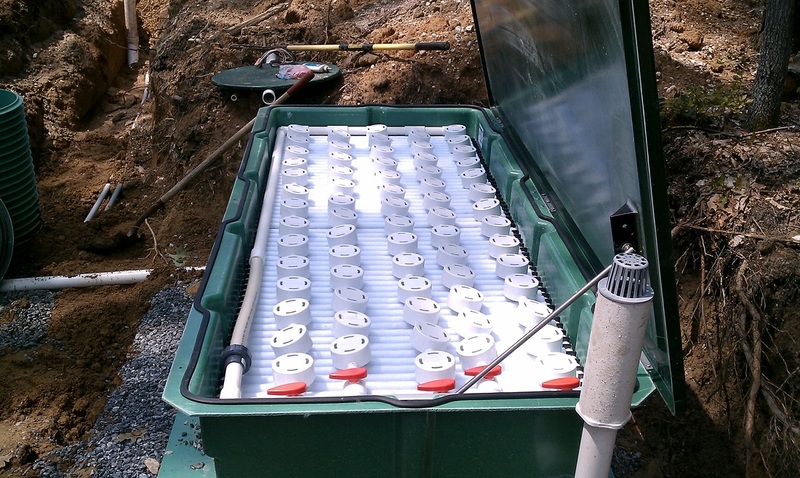 It's superior to other packed bed filters, however, in its serviceability and longevity. 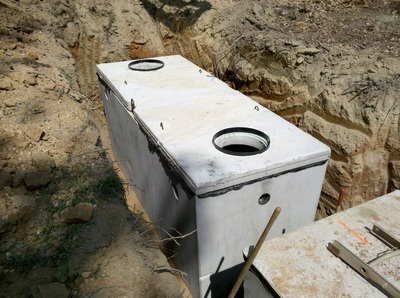 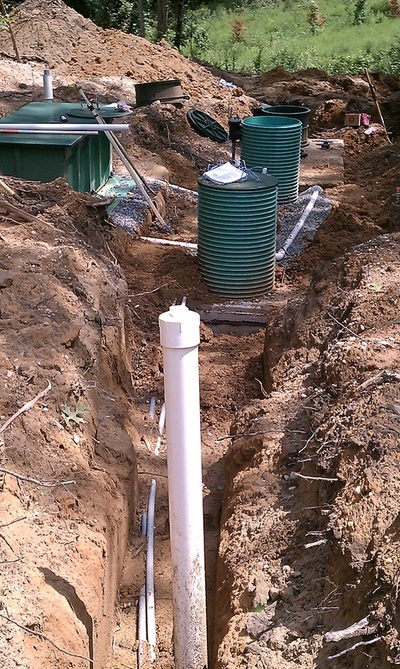 If you need an Advantex or other alternative septic field system, you can trust Garcia Excavation Services for a professional, guarenteed installation. Let's start with an open area (which we can create for you). Install the lines from your house to the tank. 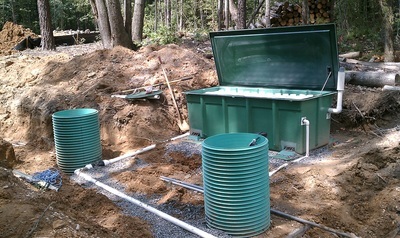 1500 Gallon Advantex Septic Tank. 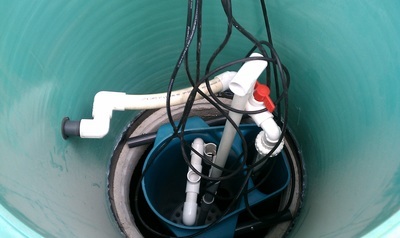 The pump that distributes wastewater to the drip system. 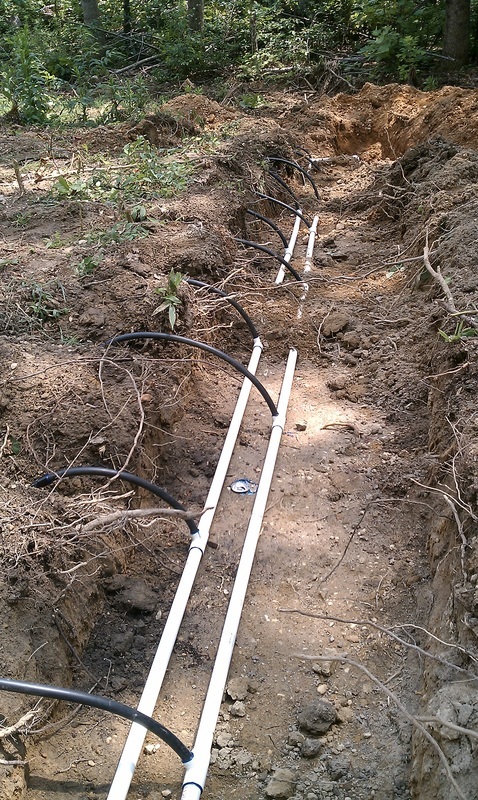 The header lines (carries fluid to the drip lines). 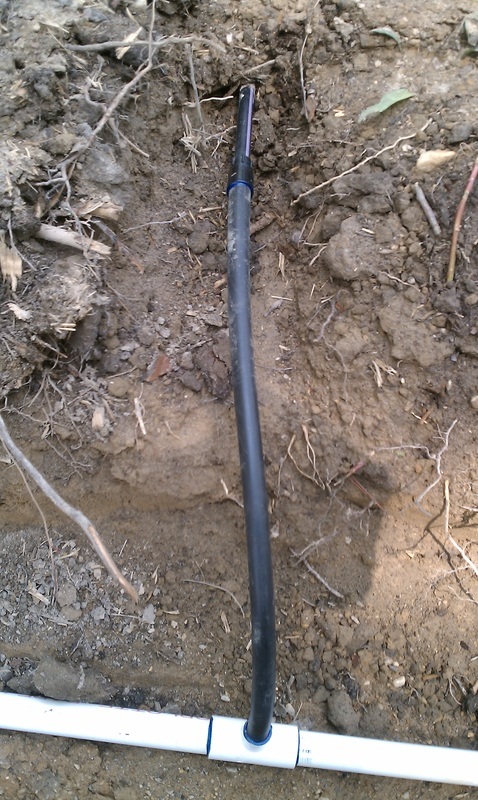 The drip line connected to the header line. 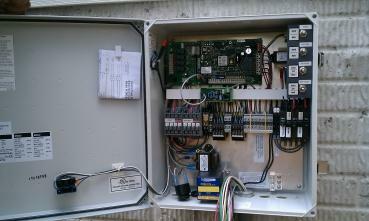 The control box to make it all work!